I have always had a passion to understand medicine and helping others achieve optimal health. My interest in acupuncture and Traditional Chinese Medicine started in my teens. After receiving several treatments for anxiety from a retired acupuncturist that was more effective than any medication, I decided that I wanted to be an acupuncturist. I am an alumni of American College of Acupuncture and Oriental Medicine. I graduated in May 2008. 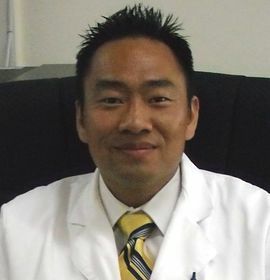 I started my practice with Dr. Alan Tran at Alliance Medical Center in 2009. I am currently still practicing at Aliance Medical Center. I started martial arts at age 9 studying Tai Chi. I have continued training to this day. I have over 30 years of experience in martial arts and I have suffered many injuries in the past. I am also an ex-athlete and I understand the importance of a healthy functional body. I focus my treatment on Sports Medicine & Rehabilitation with athletes and others who suffer from joint, tendon, and muscle problems.